In WCF (Windows Communication foundation) you can inpect the messages before sending reply and recieves client request through IDispatchMessageInspector interface. This helps the developer to investigate the message and log somewhere when needed. In this post i will show the way of implementing IDispatchMessageInspector interface and how it can be applied in the custom behavior extension and configured for that Service behavior. First of all you have to create a Message inspector class and implement the interface i.e. IDispatchMessageInspector. IDispatchMessageInspector interface provides two methods namely AfterReceiveRequest and BeforeSendReply which you can implement in the implementor class and inspect the messages. As the method named AfterRecieveRequest is called when the request came from the client and BeforeSendReply is called before the service sends the message back to client. 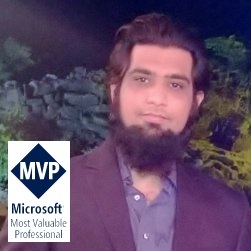 Inorder to add this Message Inpector we have to create a custom behavior extension class that derived from BehaviorExtensionElement and implements either IServiceBehavior or IEndpointBehavior. In WCF you can either add behavior at Service level or Endpoint level. In this example i will implement IServiceBehavior. In the above snippet if you see that i have add the custom message inspector object for each endpoints defined for the service. 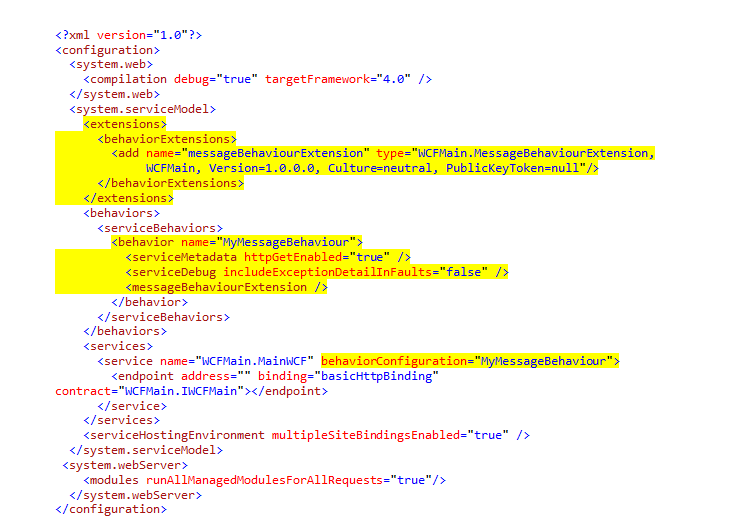 So when the WCF engine calls this method it will add the message inspector for all endpoints defined in the service configuration. Now, in the web.config file at server side you have to add following entries to configure this custom behavior extension and specify in the service behavior. I have implemented the same but “AfterReceiveRequest” method is not hitting. It should work if you have followed it exactly. Please send me the code otherwise and I will check that my end. Thanks for your article …. its compact and useful! !